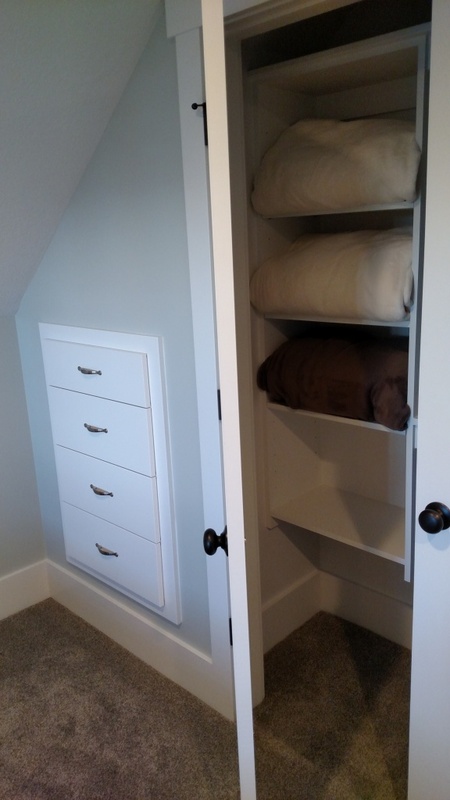 As closets are becoming bigger, we are finding less need for dressers and more need of drawers right inside the closet! 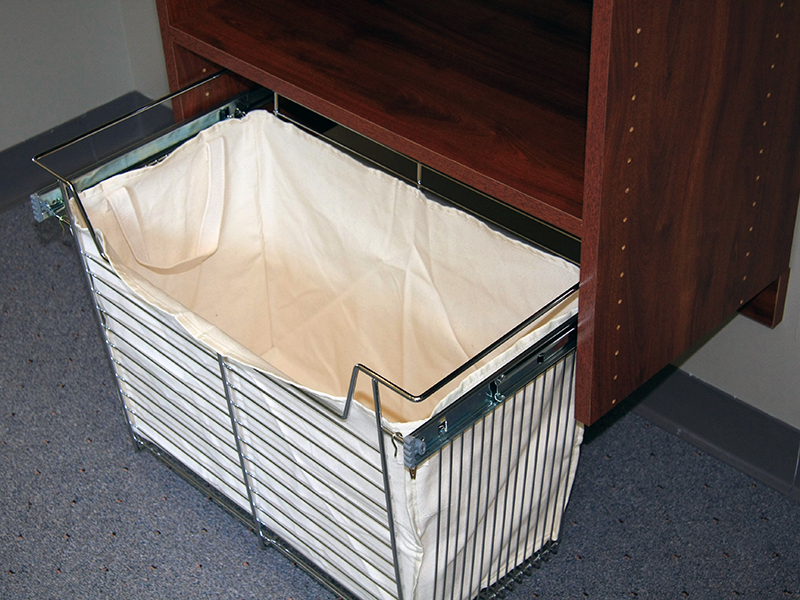 Baskets are an easy way to create drawers in your closet. Want something nicer than baskets, but you don’t want to pay hundreds of dollars? 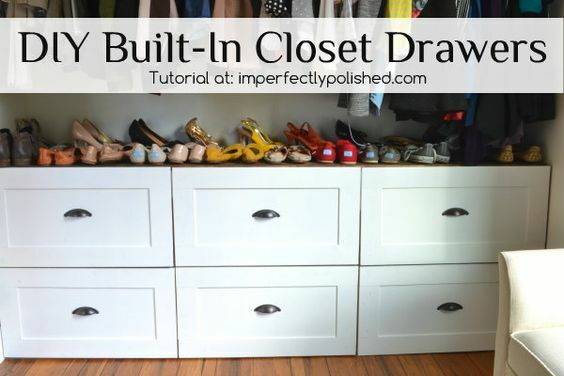 Check out this blog and find out how to make beautiful drawers shown above yourself. Wire basket organization is also inexpensive, but not my favorite look. Drawers can be used to store more than clothes – here is an example of a drawer being used for jewelry. 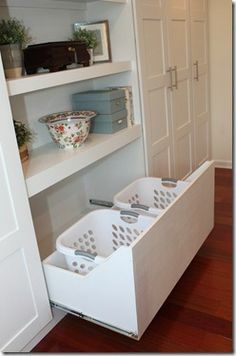 This is a clever idea for storing laundry baskets! 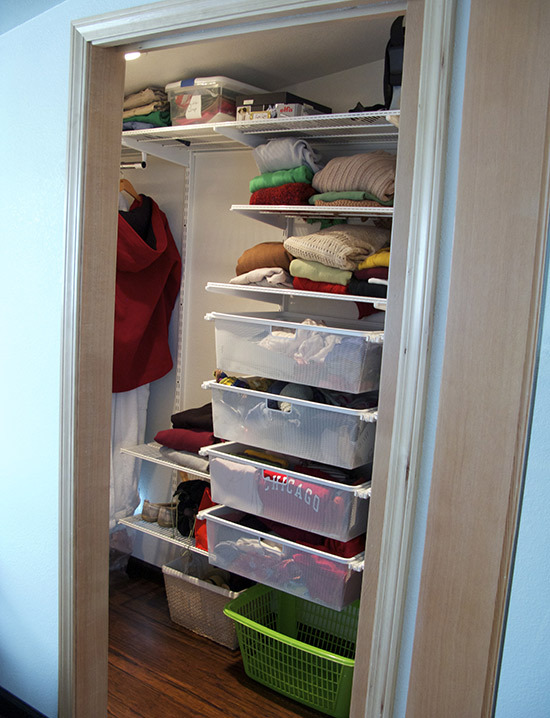 This was one of our favorite solutions at the Bear Lake Home show for using wasted or hard to get to closet space. 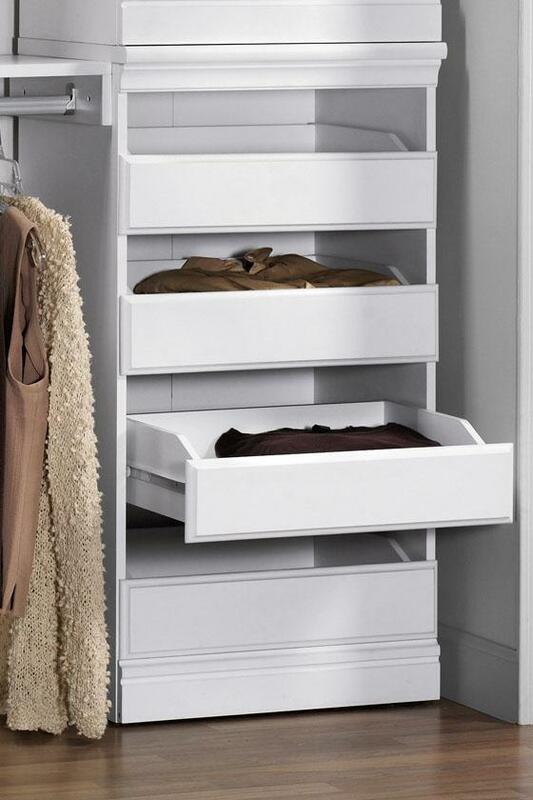 Drawers built into the walls! 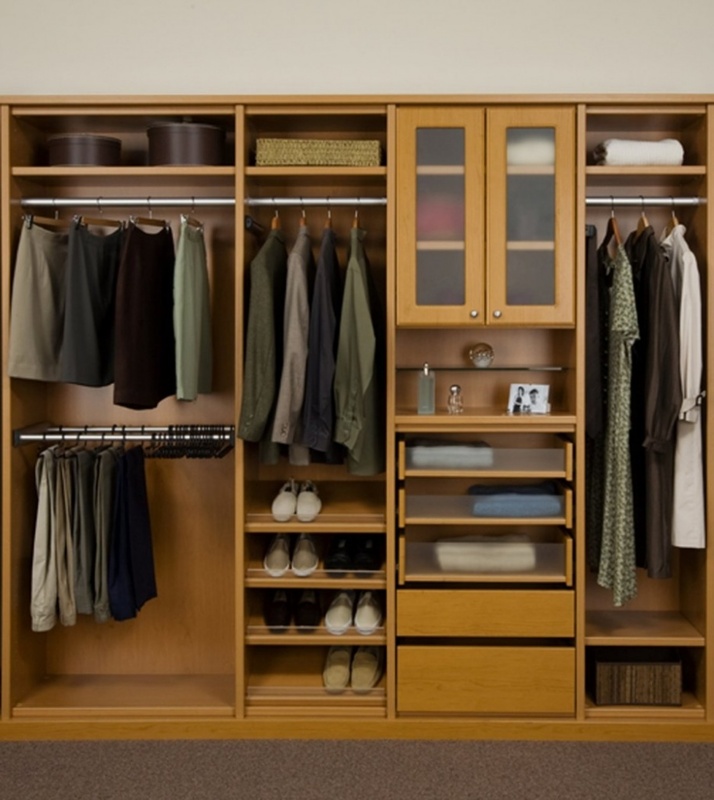 Personally, I love the idea of having all your clothes in the closet and freeing up space in the bedroom by eliminating the need for a dresser.